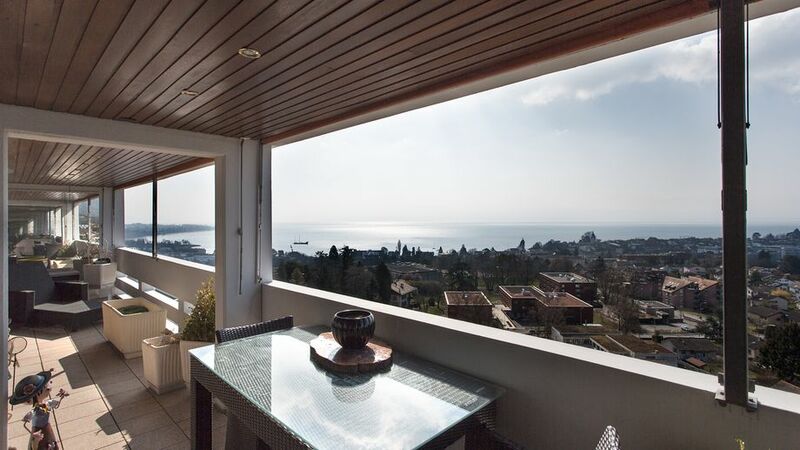 Located in a quiet neighborhood near the center of the town of Morges, this luxury penthouse apartment enjoys stunning views of the lake and mountains from its many balconies and terrace. 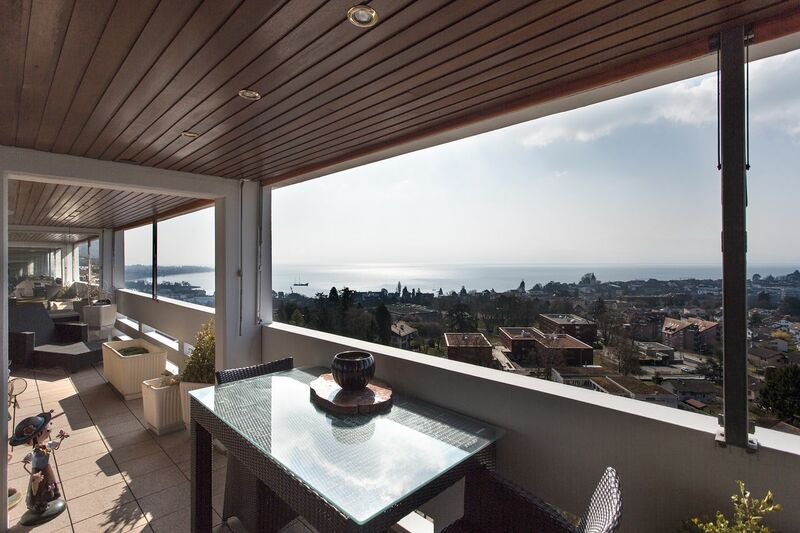 With 8 rooms on a surface area of ​​301.8m2, it has been renovated with high quality materials such as marble flooring in the living area and massive oak in other rooms. 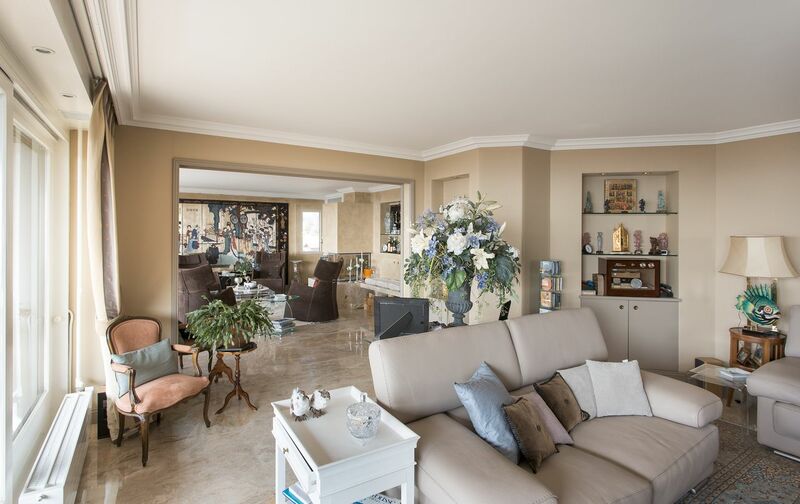 Three air conditioners and individual audio system in each room have been installed in order to live permanently in a pleasant and comfortable atmosphere. Secure residence has an indoor and outdoor pool, sauna, conference room / reception, concierge service and car wash space directly in the garage.